Essentially it is our responsibility to come up with something that you are proud of. This is the aim for each and every vehicle wrap we create. This is more than just an ad in the newspaper, or a billboard. This is something that will attract the attention of thousands of people everyday, and it’s an extension of your brand. Whether you’re a food truck, a small town bakery who delivers muffins, a former** NFL head coach, or a multi-million dollar corporation, a vehicle wrap can garner high volumes of impressions. What’s an Impression? Outside of the typical definition, as in, “making a good impression,” the word impression in the marketing world is essentially a “view” or a single display of a given advertisement or message. When you break it down to cost per impression, a vehicle car wrap is about as cheap as you can find. It’s a very effective tool for brands of any industry to infiltrate the minds of potential future customers, while they are least expecting. Yes, that sounds a little like something an evil cartoon villain might say, but for brands looking for an edge on their competition, anything goes! 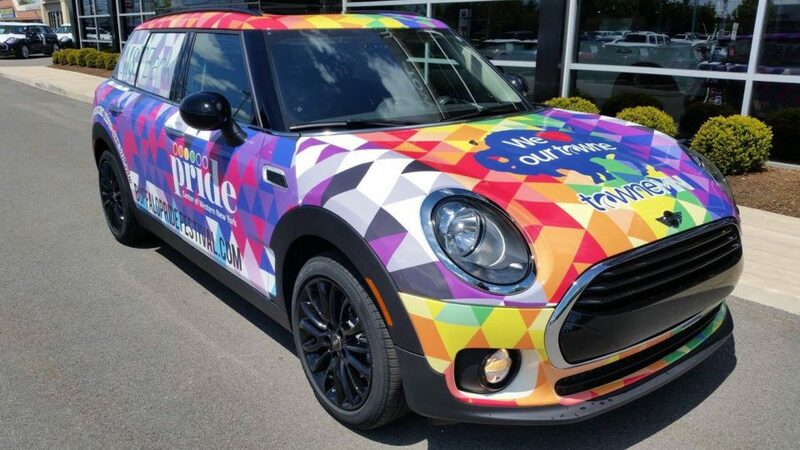 By looking at any of the many different vehicle wraps we have done all over the country, you’ll probably get an idea of what you might want it to look like. By working directly with our clients, we establish a vision that is generated from your brand, the message desired, and your direction. You can have as much or as little creative control over the project as you want, we are here for YOU. What we do specialize in is ensuring that the design is transformed from 2D, to printing in 2D, to installing on a 3D vehicle. This is the product from which the building blocks develop from a few logos and conversations to a beautifully wrapped vehicle. Do you have any questions on how we design or install custom car wraps? Just give us a call anytime and we would be happy to help!